Fred Malphurs spent over thirty-seven years working for the Department of veterans Affairs, almost all of which was spent in the Veterans Healthcare Administration. Married to Robin, a nurse executive, between them they have six children. His career spans from the impact of returning veterans from the Vietnam War, Iraq to the current war in Afghanistan. In the course of serving in the VA, Fred received numerous awards during his career, including the two highest: Presidential Rank, at both the meritorious and distinguished levels. Medical Centers under his direction have twice received the VA's highest award for quality, the prestigious Carey Award. As a network director, the networks under Fred's leadership twice received the VA's highest award for quality, the Kizer award, in addition to being recognized many times for having the best practices in a wide variety of administrative and clinical areas. He has published in health care periodicals, given media interviews, and appeared on television in the course of his career. In retirement, Fred turned to writing, life long goal. He has published his memoirs: My Life in the VA: Lessons in Leadership, and three novels: Meanie Mouse versus the Orlando Operators: The Adventure Begins, Mexia: A Novel: The Memoirs of J.C. Mulkey, and Spies and Lies: The Paradox. He is currently working on a play, The Patio Club, and is revising his next novel, A Year in the Life of Doctor Fox. Fred lives in Gainesville, Florida. The death of their sister hit them hard. She had been missing for a short time, but when her husband was taken into police custody it had sealed her fate. There were rumours that Diego Sanchez had been consorting with narco-criminals, laundering money, and sheltering cartel hit men, and his incarceration had doomed them all. She left behind three children, but whispers of a hit on the entire bloodline had been suggested, showing that wealth and power offered no protection from the reach of the cartel. Eduardo de la Vega, a well known surgeon, and his brother, Teodoro, a Jesuit priest, vow they will protect their city. But what can they hope to accomplish against the overpowering and all encompassing cartel? Enjoy the thrill and revel in the journey in Frederick L. Malphurs' A Year in the Life of Dr. Fox. A Year in the Life of Dr. Fox is a surprisingly steady-paced tale of vendetta, revenge, justice, love and war. Complex characters, flawed and righteous, set the dialogue and character-driven plot into motion. A battle few in Mexico would engage in begins, and it will take you on an action-packed roller-coaster ride. It is evident that a lot of time and effort has gone into the writing of this book. Frederick L. Malphurs has clearly taken great care to avoid common traps when writing in a genre with a historical viewpoint, and carefully expresses the culture and accurately portrays the time line, adding intricacies to really enhance the reader's experience. If you're looking for an entertaining read filled with love, honour, struggles, conflict, and kinship, then look no further. A Year in the Life of Dr. Fox by Frederick L Malphurs is a fascinating story that follows the life of a Mexican family embroiled in a war with drug cartels. When their sister gets kidnapped, the De la Vega brothers — Eduardo, a dedicated surgeon and benefactor, and Teodoro, a Jesuit priest and scholar, decide to protect their city from the drug cartels. In this mesmerizing story, the reader follows the legendary descendants of the Great Zorro as they work together to dismantle the drug cartels, combining wit with cunning to lead operations that keep the reader turning the pages nonstop. The reader is introduced to the conflict from the very beginning of the story and they quickly get the feel of what life is like in Culiacan, the Mexican state of Sinaloa. I enjoyed the character development and particularly loved Teodoro, the priest. When he is introduced at the beginning of the story, I felt I would love him — he is reserved and pensive, and one can see that beneath the pensiveness runs a powerful current of thought. It is interesting to watch the brothers as they work together, not only to avenge the death of their sister, but to defend the city from an evil that threatens its life. Frederick L Malphurs combines elements of crime fiction and thriller to deliver a punch that will have readers reeling emotionally. 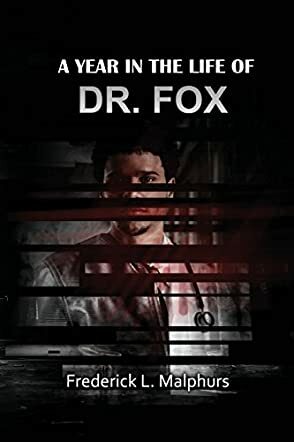 A Year in the Life of Dr. Fox is, without doubt, one of the best things I have read with a setting in Mexico, a compelling and entertaining, tightly plotted and intelligently crafted story. A Year in the Life of Dr. Fox by Frederick L. Malphurs is an outstanding novel. It is full of details about life in Mexico during a period when drug cartels run amok, and the law is essentially helpless to defend ordinary citizens. It is the story of how one man and his family respond when a family member is brutally murdered. I liked this book. I liked the look into the life behind the headlines. We here in North America hear about the violence and lawlessness of the Mexican drug world, but we know little about the lives of ordinary citizens caught up in this vicious struggle for money and power. We should all learn more through reading books like this. We are involved whether we choose to be or not. These cartels are fighting to get their share of the American drug market and this is a lot of money. The outcome of this struggle will have an enormous effect on us and our children. This is a story with its feet planted firmly in a sad reality. I liked the characters. I liked Dr. Fox. I liked his twin brother. I liked his entire family and what they represent. Families are the glue that holds society together and how a family responds to tragedy tells us a lot about society and about ourselves. The plot here is simple but elegant. How do you respond to unspeakable horror and injustice? If you are a descendant of Zorro, you might respond just like Dr. Fox. Frederick L. Malphurs does a great job of showing us how the main character feels. The writing is outstanding. It is never too heavy but never too light. I liked A Year in the Life of Dr. Fox because it showed me a year that I pray I will never have to live through. A Year in the Life of Dr. Fox by Frederick L Malphurs is the story of a family, set against the backdrop of a society ruled by drug lords, where kidnappings are frequent and where murder is the order of the day. Powerful drug cartels pitch themselves against each other and take anything they can from the people. It is against this backdrop that the story of a family takes place. When their sister gets kidnapped, the de la Vegas vow to exact revenge and to protect their family. Readers are introduced to a Jesuit priest, Teodoro de la Vega, and his brothers as they take down the drug rings, working with surreptitiousness and exceptional skill. They are rumored to be descendants of the great Zorro. But can they beat the drug lords on their own turf? The story begins with dramatic events, when the Jesuit priest, Teodoro, learns about the imprisonment of his brother-in-law, but his sister has already been kidnapped. The drama begins right off the bat and it doesn’t slow down a bit as the conflict escalates into a crisis. The reader is captivated as they follow the memorable characters taking a stand against an evil that could destroy their entire family. The narrative isn’t top notch, but the story is focused on plot elements and character, and it scores wonderful success here. The narrative voice is strong and compelling, and I loved the humor — grim at times — and the pulse of the narrative. This is one of the stories I'd love to watch on screen, thanks to the powerful setting and the exceptional characters. Frederick L Malphurs has created a gripping work in A Year in the Life of Dr. Fox. Based on true accounts, A Year in the Life of Dr. Fox by Frederick L Malphurs is set in Mexico in 2006 during the height of the drug wars as cartels battled other cartels, along with the police, the army, and anyone who stood in their way. Innocent or guilty, no one is safe from the kidnappings, murders, or threats which Eduardo de la Vega has the misfortune to witness first hand when his sister is kidnapped, then murdered, because of her husband's dealings with the Pacific cartel. Determined to right the wrong against their family and the community at large, Eduardo and his family seek justice and will do anything to reduce the violence and terror running rampant through the city. Frederick L Malphurs writes an intriguing tale, drawing the reader in slowly through the many layers of a city in the grip of a cartel war. At times it does feel like we are being told the events by a narrator, instead of really being able to dive into the stories and the emotions of the characters, but A Year in the Life of Dr. Fox is also complex with characters and scenes coming back with greater importance later. This is a slow burn of a novel with Malphurs carefully weaving tension throughout and making for an intense read. I found myself rapidly flipping through the pages to learn what happens next. Fans of crime drama will enjoy A Year in the Life of Dr. Fox by Frederick L Malphurs.